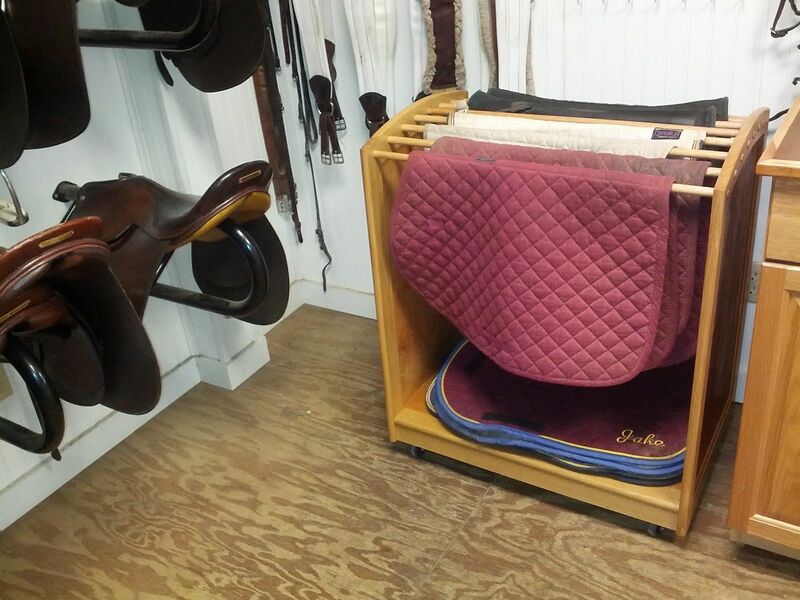 This project resulted while outfitting a tack room for our local horse farm. 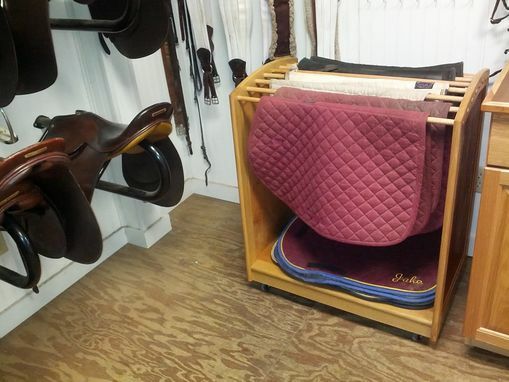 The problem -- there was no place to put the saddle pads, so they wound up on the floor or in a pile somewhere. 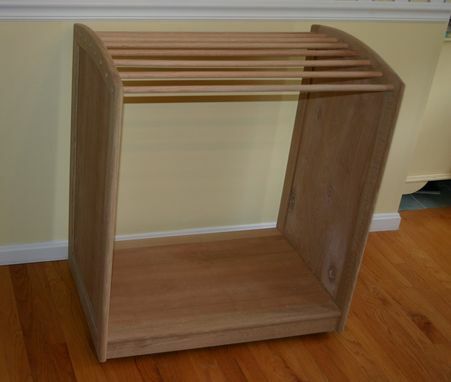 The side frames, bottom frame, and hanging rods (8 of them) are red oak. I have made two versions using either 1/4" cherry or red oak plywood end panels. Solid wood panels can be incorporated if you choose. Dimensions are 29 1/2" long x 20" deep x 33 1/2" high. This particular model can accommodate a 28" max. pad front-to-back length. Polyurethane casters included for mobility.